Smoked Turkey - Learn how to prepare and cook a declious turkey for thanksgiving. 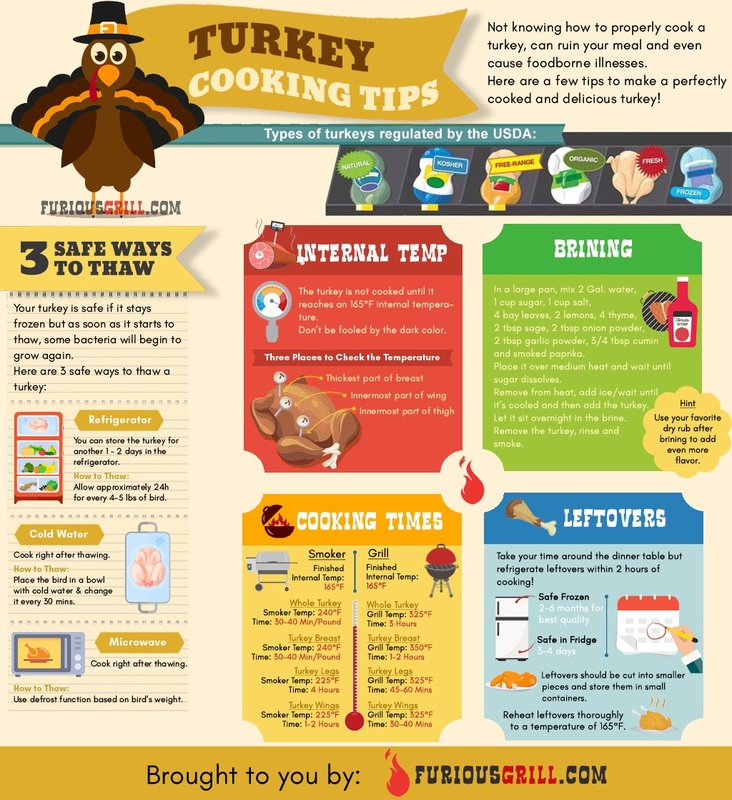 With Thanksgiving just around the corner, now it is the time to start thinking about how are you going to cook your turkey. Will you go the traditional roasted method? Or, you will try a new cooking method, to emphasize the full flavors of the turkey? If you decide to try smoking a Turkey this year, there are a few things you need to consider and have in mind. It begins with the selection process and picking the turkey kind which is more suitable to your preferences. Then, you need to follow carefully the thawing process, so you don’t ruin your turkey. Should you brine it? Is brining necessary or just jump directly into the cooking. Then comes the cooking process. It doesn’t matter if you are using a smoker or a grill to cook the turkey. It requires patience and carefully following the steps in order to get it to the proper internal temperature. Not over-cooked and definitely not under-cooked, but exactly at the recommended temperature. With all these things coming through your mind, I suggest you take a better look for each step in the infographic below from FuriousGrill so you can make a perfectly cooked Thanksgiving Turkey.